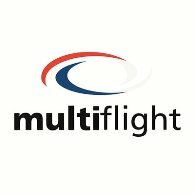 For luxurious, hassle-free and safe travel for your sports team, management, associates, supporters and families choose leading UK private aviation company Multiflight. We specialise in bespoke aircraft charter, regularly arranging VIP private jet and helicopter charters for professional individuals and sports teams across Europe. Those travelling through Leeds Bradford can take advantage of our dedicated private VIP terminal with direct access from coach to aircraft. Whether your team needs to travel to a fixture or training camp, or a player or manager requires a helicopter or jet for a last-minute confidential engagement, Multiflight is the company to contact. We are Yorkshire-based with a can-do attitude and are committed to providing our clients with the most cost-effective private aircraft charter solution. Established since 1994, we are well known for the total privacy and professionalism we offer our clients and our dedication to their pleasure and comfort. Our experienced charter team will find the perfect aircraft for your needs and look after every detail of your trip for you, leaving you to concentrate on your jobs and on winning!